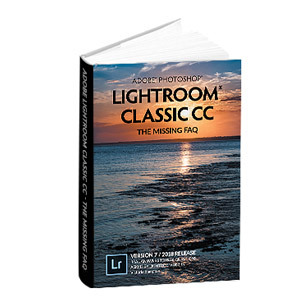 Lightroom Classic Tutorials > Troubleshooting > How do I send a bug report or feature request to Adobe? As carefully as Adobe and prerelease testers check each release, Lightroom is now an incredibly complex program and it’s inevitable that bugs will slip through the net. As a result, you’ve likely already found bugs in Lightroom – but who do you tell? How can you be sure it’s really a bug? And why don’t they all get fixed? Most software companies offer a bug report form that’s akin to a black hole. You submit the bug report and that’s the last you hear of it. You have no idea whether anyone else is suffering the same issue, whether there’s a workaround, or whether it’s been fixed. Adobe has taken a different course with the Photoshop family of products, which includes Lightroom and Lightroom mobile. Some years ago, the Digital Imaging team introduced the Feedback Forum. It’s a direct line to the engineering teams. Although Adobe staff can’t reply to every single thread, they do read everything, and often you’ll see the engineers personally replying to threads. Official Rep, Principle Computer Scientist, Employee and other similar titles are Adobe staff, whether they work in the support, development or quality engineering departments. Champions are volunteers who have been recognized by Adobe as being helpful forum members with excellent product knowledge. They assist staff in testing reported bugs and requesting additional information necessary to reproduce issues. When lots of users are reporting the same issue, spotting the commonalities can be the key to tracking down the cause of the problem. Because it’s public, you can check to see whether someone else has already reported the bug you think you’ve found – and often there are workarounds posted in the same thread. The forum software allows users to report bugs and request new features – but more importantly, it also allows users to vote on the bugs/features are that most important to them. Does this actually matter? Yes. For example, it was your feedback on the updated Import dialog in 6.2 that reversed Adobe’s decision. Some of the most popular feature requests, such as face recognition and HDR/Panorama merge were also implemented by popular demand. Your votes do count. Go to the Feedback Site. In the top right corner, select Sign In. Click Photoshop Family and sign in with your Adobe ID (or you can use a Facebook or Google ID if you prefer). In the Find or Start a Conversation field, type a few words that describe your problem (as you would in a Google search, for example “Lightroom GPS Data”) and hit Enter. The forum searches existing reports and shows you threads that may be the same issue. If your issue matches one of the search results, read the thread to look for workarounds, click the Me Too button to vote for the issue, and add any additional comments using the reply field. You’ll automatically be subscribed to threads you’ve created or commented on. This email subscription can be controlled using the Follow/Unfollow button in the top right corner. If your issue isn’t shown in the search results, click the Continue Creating Conversation button at the bottom of the page. Update the Title to a short phrase that describes your issue, such as “Lightroom: GPS data format is inaccurate”. In the Description field, write a longer description of the problem you’re having, and don’t forget to include your system specs. We’ll come back to tips on writing great bug reports and feature requests in a moment. In the Related Categories section, check either Lightroom for mobile or Photoshop Lightroom. This ensures that the report is seen by the right team. At the top, select Preview to check the information before posting. How do I write a great bug report? The more specific the information you provide in a bug report, the better the chances of the engineers being able to reproduce and fix your bug, so here’s a quick checklist. Do a search to see if your idea has already been submitted and add your vote/comments to existing topics before creating a new one. Pick a descriptive title (e.g., “Lightroom CC 2015.7: Badge numbers in Grid view not visible on Sierra” is much better than “Really bad Lightroom bug!!!!”). Create a separate thread for each bug instead of a single laundry list thread, otherwise your bug may get lost. Description – write a brief description of the problem you’re seeing. Steps to Reproduce – list the exact steps to reproduce the issue. If Adobe can’t reproduce it, it probably won’t get fixed. Expected Result – write a brief description of what you expected to happen. Actual Result – write a brief description of the incorrect result you’re seeing. Workarounds – note any workarounds you’ve discovered, just in case anyone else is having the same problem. System Specs – list your system specs including the exact Lightroom version, your operating system version and any other information that might be related, such as your graphics card and driver version. The easiest way to do this is to go to Help menu > System Info in Lightroom and copy/paste the contents. Screenshots – if you can illustrate the problem with screenshots, that often makes it much easier to reproduce. How do I write a great feature request? Pick a descriptive title (e.g., “Lightroom: Mark a photo as final version” is much better than “My great Lightroom idea”). Create separate threads for each request instead of a single laundry list thread, otherwise people can’t vote on your idea. Imagine you’re trying to sell your idea to the team, so make the description clear and concise. Describe WHY you want the feature you’re requesting – the problem you’re currently hitting, and how this new feature would solve that problem. The team need to understand how your idea fits in, as they may come up with an even better way of solving your problem. Don’t be offended if someone suggests a workaround or plug-in to solve your problem, at least temporarily, or if someone asks additional questions to fully understand your request. Why hasn’t my bug been fixed? It can be discouraging if your bug doesn’t get fixed, or your feature request doesn’t get implemented. 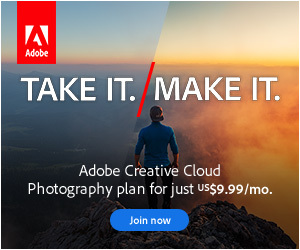 Does this mean that Adobe isn’t listening? No. All of the suggestions and reports are weighed up, and as with everything in life, they have to be prioritized. One thing I’ve learned through many years of beta testing is that bugs and feature requests are rarely as simple as they sound to us as users. Fixing that “tiny irritating bug” may create another 10 much more serious bugs, and that “easy feature request” can have far reaching effects. So should we give up reporting bugs and requesting new features? No. A huge number of bugs do get fixed in every release and new features are also being added. Your feedback does count. Thanks Mark, glad to help. I’ve been trying to log in to the feedback page and it keeps sending me a verification code which, when I type it in, tells me it is incorrect! Tried this about 6 or 7 times with the same result. Tried typing it and copy/paste. I can’t log in to say I can’t log in – if you see what I mean!! Any suggestions? Are you logging in with your Adobe ID? Yes, and it appers to recognise me but insists on verifying my email before going any further! Maybe just click once and wait for the email to appear. I’ve seen other systems get confused when I’ve had them send me multiple links in a row. Thanks, I’ll give it another go and see what happens! I was also thinking of trying a different browser; sometimes that can make a difference. I hope that all forum members submit bug reports or feature requests instead of just raising issues about Lightroom not working as expected or desired. I have a problem with Lightroom 6 , a standalone perpetual version. This has been blocked ( unable to open ) by Abode. When I do open it all I get to see, is the cover photo, with a pop up window saying, I quote, “Lightroom will open with “reduced functionality”. Please go to help “Manage my account” to purchase a membership to continue using Lightroom. Is’nt this absurd with the version I have. Can you check something for me please? If you go to Help menu > System Info, what do the first two lines say? John, follow the instructions above to report the issue to Adobe and they can figure out what’s going wrong. Or contact customer services. Thanks for the post Victoria, I was just about to write you to ask how to request a feature and you prevented me ! In Settings > Cloud Sync, you can set it to prefer to download originals instead of smart previews, and then you can cache an entire album locally that way.